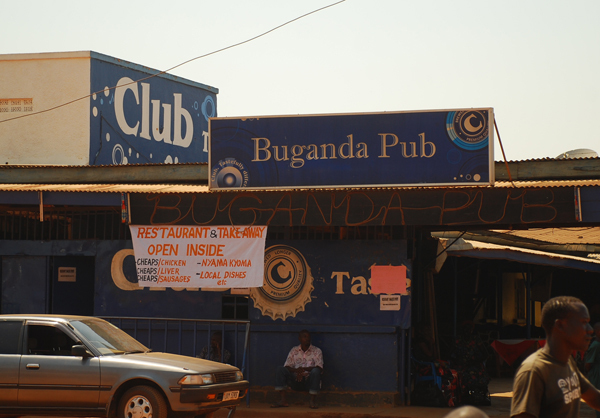 The entrance to Buganda Pub where Wassawa met his death. Net picture. GULU. Four people have been arrested and detained in connection with the violent death of Salim Wassawa a machine operator with Zhongmeni Construction Limited. Wassawa who hails from Kamuli district was stabbed at around 4:00 a.m. in the wee hours of Tuesday Wednesday inside Buganda Pub a popular revellers’ hangout in the middle of Gulu town. Martin Okoyo Gulu district police commander, confirmed the arrest of the individuals saying they failed to intercept harmful gargets like knives at the entrance of the entertainment spot hence they must answer for their negligence. It is believed that the suspects in the killing, who are still on the run, attacked Salim inside the usually crowded premises. The DPC declined to divulge the details of those arrested. But it is understood that the manager of the pub only identified as Labeja, and room attendant Ojok are among those arrested and detained. Okoyo said the body of the deceased was still in the mortuary at Gulu Regional Referral Hospital by press time.